Living on a cold, damp island gives people an appreciation of cozy warm textiles. The Irish have been battling the elements forever, so we’ve got a good idea of how to stay warm when the wind and rain are raging outside. Long before today’s high function, weather-proof clothing technology, the Irish developed techniques for weaving and knitting to create clothing that protected from the cold, wind and rain. These textiles and garments have lived on because first, they work and second, they are gorgeous. Irish textiles have more character than today’s sleek outdoor gear. They remain popular Irish gifts not because they are ideal for year-round camping and trekking but because they say something about who we are and what we love. They reflect our heritage and our aesthetic. You don’t have to be Irish to love Irish textiles. They invoke a sense of cosiness and beauty that appeals to anyone who wants to spend winter in comfort and style. The textiles of Ireland have a history as rich and compelling as their look and feel. Here’s a glimpse of how they came to be symbols of this island. Aran Knitwear: The Aran sweater is named for the islands off the coast of Galway, where for centuries people have not just endured challenging conditions but thrived in them. The women of these islands developed these intricate knitting patterns not only as an expression of their creativity but as an early sort of functional fabrics. The texture traps warmth next to the body and provides excellent insulation. Some have speculated that families had their own distinct sweater designs so that if a boat capsized whoever found the bodies when they washed ashore would be able to identify them. It’s as likely that families wore the same pattern simply out of family pride… or because it’s the pattern the matriarch of the family preferred to make! Tweed Caps and Jackets: Remote County Donegal in the northwest of Ireland is famous for producing a distinctive style of tweed. This has always been sheep country, and tweed is made from wool. Irish tweed is famous for its soft, earthy colors as much as its high quality. Those colors come from the beautiful Donegal countryside. Soft browns like the bogs, and gentle greens like the fields and moss. Greys and blues that reflect the sea. County Donegal is lashed by the fury of the stormy Atlantic Ocean in the winter, and the people there had plenty of reason to become experts in making fabrics to keep them warm and dry. Ireland’s love affair with textiles never stopped. 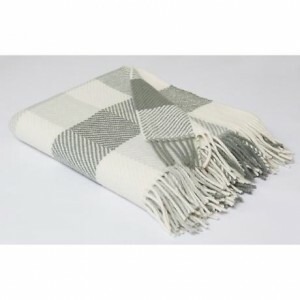 Today modern designers create delightful throw blankets that reflect our heritage of beautiful and pragmatic textiles. After all, it is still damp and cool in Ireland and people still prefer to be warm and snug. Irish artisans today are as inspired by the elements – the climate and the soft, earthy colors of the landscape and sea – as our ancestors when they create Irish gifts of textiles.